Hampshire Fire and Rescue Service is appealing for unemployed young people to take part in a 12- week Prince’s Trust course to learn new skills and improve their confidence and motivation. 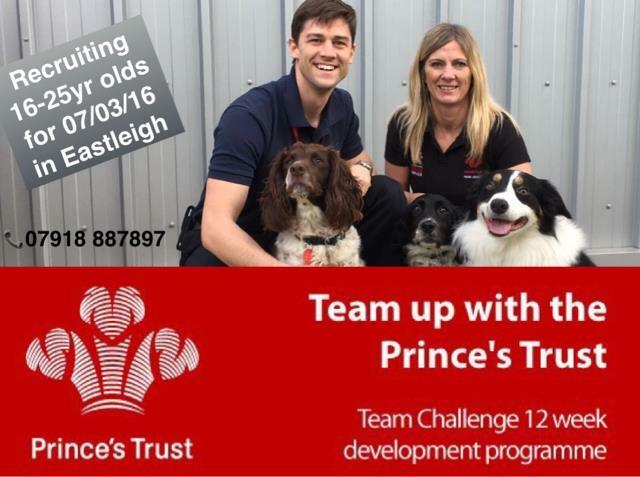 The Prince’s Trust Team programme will be based in Eastleigh and will help to tackle youth unemployment in Hampshire. The course will give unemployed 16 to 25 year-olds the skills and confidence to find a job. Young people will get involved in team building activities, a week-long residential trip, a community project and two weeks of work experience during the course. They will also get advice on how to write CVs as well as gaining nationally recognised qualifications. Three in four young people on Prince’s Trust schemes move into work, education or training. The Prince’s Trust will help 55,000 disadvantaged young people this year, giving them the confidence and skills to turn their lives around. or call 0800 842 842.